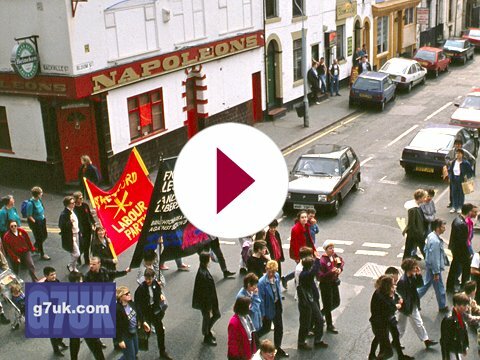 Vintage footage from 13th April 1991, when Manchester's LGBT community and supporters marched through the city centre in protest about inequality. Quite a shock for the general public in those days as you can see from from some of the reactions. According to a news item in 'All Points North' before the event, people assembled at Whitworth Park at 12.00 and the march began at 13.00. The route was along Oxford Road, right into Whitworth Street and then left up Sackville Street. That is where the video first picks it up. Technical details: Minolta 81E Video 8 camcorder, edited with Sony Vegas Video 5.